INSURRECTIO - what's the political background? 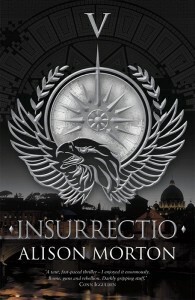 At the beginning of INSURRECTIO, thirteen years have passed since the story of AURELIA. Our heroine, now the senior imperial councillor, has climbed the career ladder to assistant foreign minister. 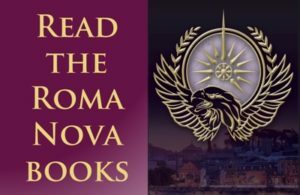 Roma Nova’s government has a mix of traditional Roman elements such as a senate, an imperatrix – the ruler – and her imperial secretaries running the administration, and an imperial council of ministers heading specific departments and giving advice much like a standard Western cabinet. All countries go through unhappy periods – change, uncertainty, economic instability – which often provoke fear of the other and of the unknown. People question their government, values, their purpose and place in life. They become sensitised to the negative and ignore the positive things they almost forget they have. Roma Nova in the early 1980s is in such a state of flux. A significant proportion of the administration and law enforcement bodies at local and central level are inflexible, hide-bound and not fit for a time of rapid change and economic instability. Interest groups with their own agendas pull against each other and people are more interested in their own concerns than the welfare of the state. Added to that, Roma Nova has a weak and capricious ruler, Severina, who is frightened of ruling. Despite the best efforts of councillors like Aurelia, Severina is often swayed by the advice of the nearest strong personality, ignoring that personality’s true motives. This unfortunate combination of factors is the setting for INSURRECTIO, but there was a parallel level of uncertainty in Germany in our real time line in the 1920s and early 1930s which I’ve drawn on for writing INSURRECTIO. 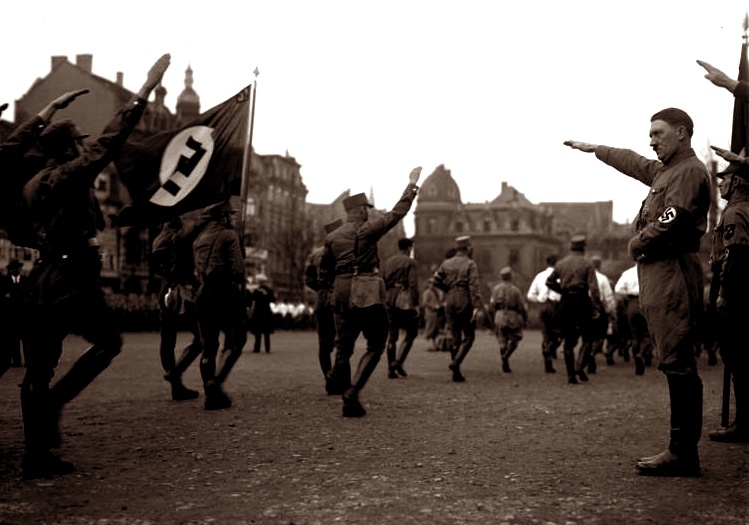 Set up to govern Germany after the First World War, the Weimar Republic began with the best of intentions. It had an elected parliament (Reichstag) and president, universal suffrage for men and women over twenty and introduced universal education and health insurance. Despite a remarkable cultural renaissance in Germany in the 1920s, the political system faced old-fashioned fixed mindsets straight out of German history, underdeveloped institutions, unemployment and later economic collapse. The German population was smarting under the draconian conditions of the Treaty of Versailles after the First World War and resentful of the old imperial regime that had failed them by losing the war and bringing them to ruin. And the democratic tradition in all the German states was weak, if it had existed at all before 1914.
full proportional representation – instead of voting for an MP, Weimar Germans voted for a party. Each party was then allocated seats in the Reichstag exactly proportional to the number of people who had voted for it. This was admirable in theory but disastrous in practice. Dozens of tiny parties of all political shades with their own often narrow agendas flourished with no party strong enough to form a majority and thus an effective government. 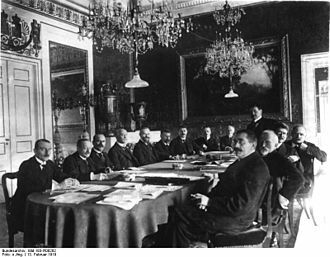 Few of the constantly shifting coalitions and alliances succeeded in getting their legislative programme through in the Reichstag. Article 48 which provided that in an emergency the president did not need the agreement of the Reichstag, but could issue and govern by decree with the force of law. Unfortunately, this provision did not define the emergency circumstances it was design to address. In the end, it turned out to be a back door that Hitler used to take power fully legally. The backgrounds in the fictitious Roma Nova and 1930s Weimar Germany are different, but the ground is equally slippery under both. Weimar was caught between idealism, hide-bound and self-interested mindsets, economic and political instability. Roma Nova was weakened at a point of change, caught between historical traditions with archaic systems and a world modernising where work, life and personal circumstances were changing. Neither had strong or even effective leadership. 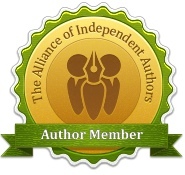 2 comments to INSURRECTIO – what’s the political background? And not a woman in sight in either photograph. Thank goodness Roma Nova is ruled by women, is all I can say! Absolutely, Fenella, but despotism can arise anywhere. Eternal vigilance and all that.